Sheffield bassed badboy Toddla T is handed the keys to the latest Fabric ride for a full frontal, cross cultural shoot out featuring more zeitgeist surfing freshness than you can shake a Diplo-shaped stick at. 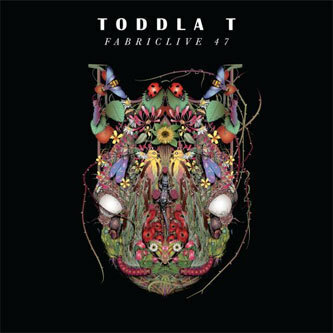 With countless magazine articles and club appearances to his credit, Toddla has risen through the ranks to represent the club party sound of the UK with style. His mix travels from ragga-refried versions of Duffy - 'Stepping Stone (Cavemen Remix)' to Bhangra inlfuences - Monkey Steak's 'Tigris Riddim', via armfuls of the freshest UKF - Lil Silva, Geeneus, Fish Go Deep, Sticky, next to B-More from Diplo, Grime from Bashy & Tinchy Stryder and just about every other current sub-style and genre happening on this strange little island right now. The mixing is, as expected, totally flawless and the selection is second to none for even the most demanding party crowds. Pour yourself a drink and clear some carpet space... this one's a wriggler.